Very often, we have enough reason to say – “No more icecream for my kids” but then it gets tough to steer them away from this choice. Festive season, outings, parties, and winter are some of the many trying times. I have never seen this recipe before. The thought popped out while deciding a dessert for a Diwali Party and it worked wonders. I was surprised at how many adults too sprang for it. My Ice tray is red hearts. I had a blue fish and animal shaped Ice tray too. Healthy dessert – perfect for parties and large groups! Only 15 minutes of total cooking time and maximum an hour of freezing time. First make space in your freezer. 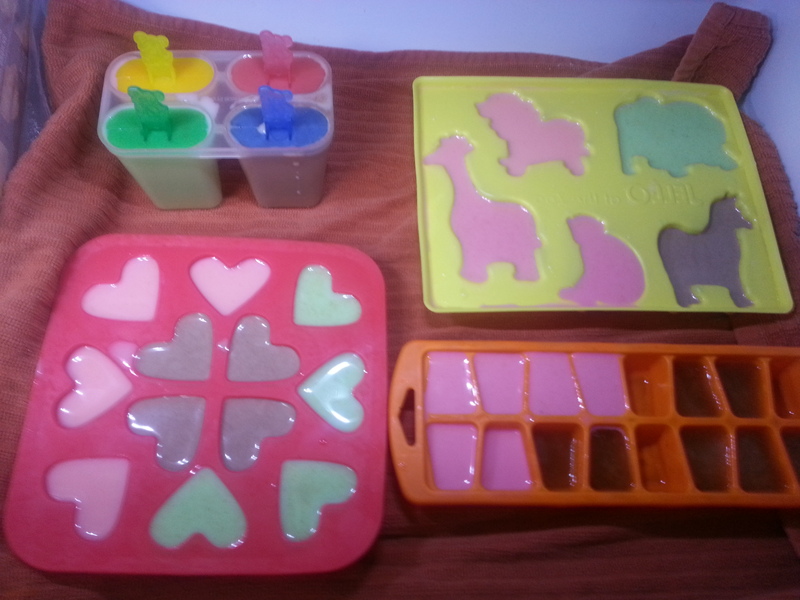 Depending on the number and shape of ice trays you are going to use and the height of the popsicle or craft sticks. I am lucky to have a horizontally broad freezer . 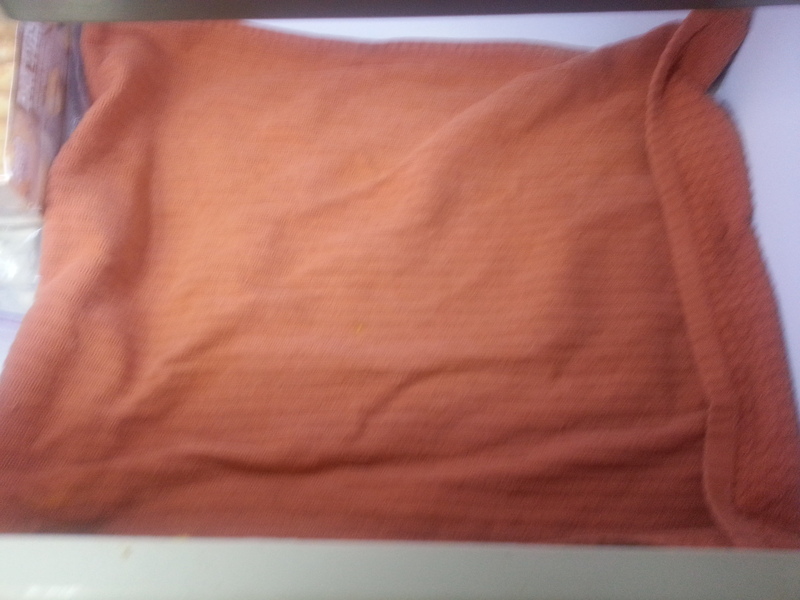 Spread a cloth or plastic sheet at the base to avoid a mess on the freezer floor. Decide on the variations you want. How many types of sorbets or syrups do you want to use? Take as many glasses and spoons. Pour milk in each of the glass to a half. Pour your sorbet in to make it edible enough. Make it a little stronger than usual for the flavor to come out as a popsicle. 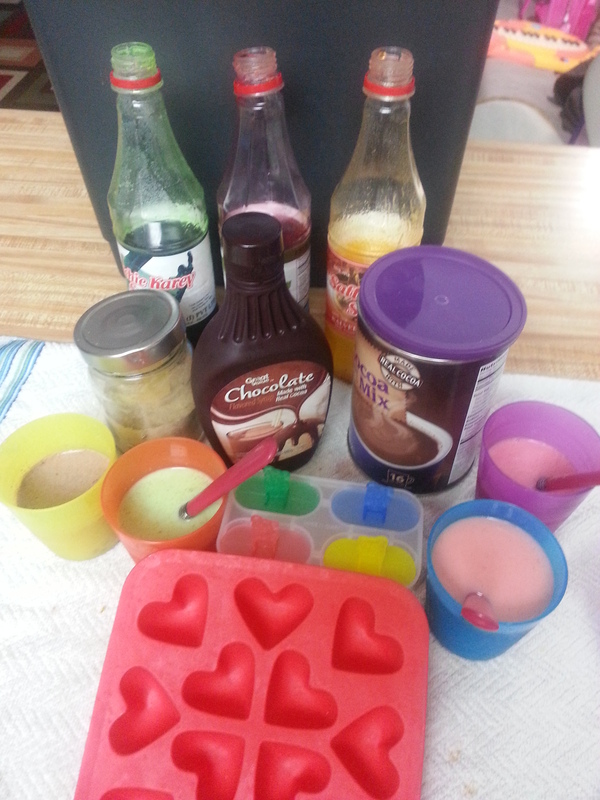 A good indication is that the sorbet color stands out in the milk. Add a pinch of cardamom powder in each glass. Stir for 10 seconds. Pour into the ice trays as you like. Freeze. Check in 30 minutes. Gently push your finger into the Popsicle. Just before they are completely hard, remove from freezer. They should feel a little fragile from the top, yet not allow your finger to sink in. 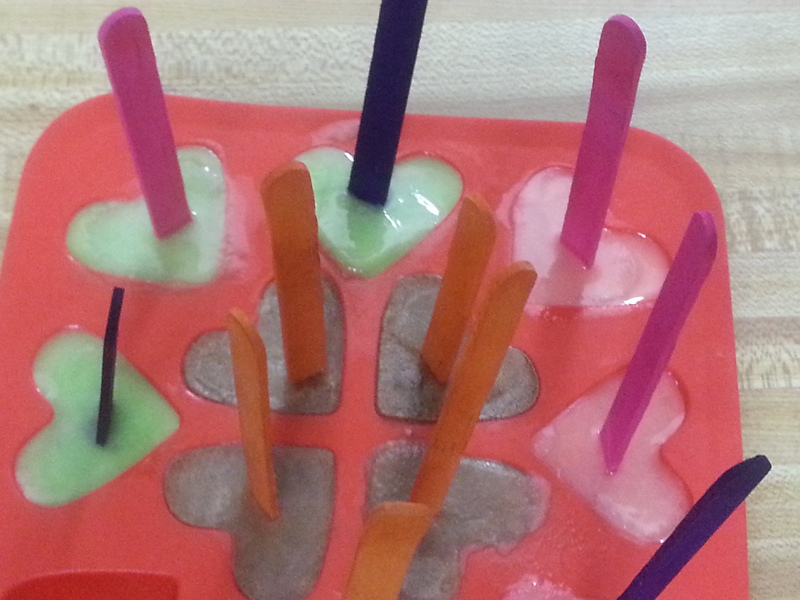 Place the popsicle sticks into the half-frozen mixture. The sticks should be able to settle in with 1-2 efforts. There should be no cracks in the popsicles, but if there is, do not worry. Take water in a spoon and gently pour it all over the ice tray. This is the most important step because, after your put the sticks into already half-frozen mixture, we want the sticks to stand in place and hold the popsicles well. As the water freezes into ice, it will do this for you! It is ready to go in another 30 minutes! When you are ready to serve, remove the ice tray on a water safe surface. Let it stand out for 3-6 minutes. 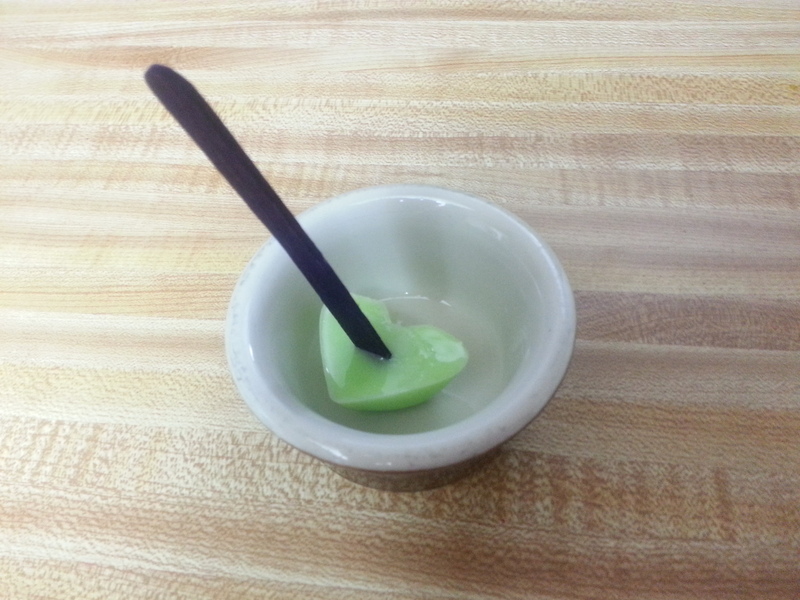 This will allow the mixture to loosen well enough that it is easy to remove the popsicles without cracks or without separating the stick from the mixture. Serve in mini-serve plastic to go cups or in small bowls / cups. Eat half a dozen if you like; it will not harm you half as much as icecream does! Talks about this dessert popped up with my close friend Rashmi Khare when she mentioned that she uses orange juice or any other juice to make super quick popsicles. Fresh homemade or bottled juice in the popsicle maker and there you go. Think of making this variety with all your different ice tray shapes! Thank You Rashmi for such a great idea! –Exclusive and original recipe by Rima Desai. No part of this recipe has been intentionally copied from anywhere. Similar work is the act of coincidence. No part of this recipe may be copied and posted, re-posted, used in print in any form or manner. Previous PostPrevious Six Easy Activities for an Emotionally Robust Kid! Next PostNext Holiday Art – A magic art for kids from Scrap!